The funding for child protection totals $4 billion and we have a predicament where state and territory governments spend only 17 per cent of it on family support services. Child protection and family services should focus on assisting vulnerable families as opposed to removing children. In early January I reunited a 14-year-old girl with her biological mother. She had been removed from her mother at 12 months of age. Two months prior she was found hanging from a tree nearby a Perth primary school. Students passing by saved her life. The child had been under a protection order although she was a long term runaway from both residential and foster carers. Children removed from their biological parents are among the most elevated risk groups to serious aberrant behaviour and to suicide. On the day of her reunification, she called me to thank me. I was happy for the child and mother and, at the same time, sad in the knowledge that the majority of children removed should not have been. In my work with suicide affected families, I come across stories that the nation should hear. Six years ago, two sisters under child protection orders ran away from their carer. The protection orders were not lifted. Next to no work was done to assist these girls with kin or other support. They were 11 and 13 years old and spent the majority of the six years on the streets. The eleven-year-old recently took her life – on the streets – as a 17-year-old. So much more should have been done. A quarter of Australia’s homeless –nearly 20,000– are children aged 12 years and less. 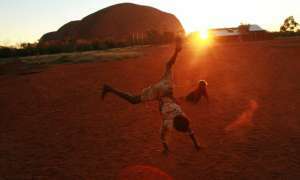 Australia has the highest rate of child removals in the world. Child protection authorities and their personnel may think they are doing a good job, but overall they are not. The majority are well-meaning but that’s not good enough. There are prejudices, class and racist assumptions and horrid policies that betray the well-meaning bit. There should be a royal commission into the child removals, and the horror stories told to the nation in the same manner and with as wide a remit as the nation was allowed to hear the long overdue stories of the institutional sexual abuse victims – more than 8,000 stories. Presently,17,000 Aboriginal children have been removed – an abomination – where instead, the majority of families should have been supported. It will continue to get worse and more harrowing with more than 50,000 children removed by 2030. Like with the arrests and sentencing of Aboriginal identity, the same behaviours that lead to their arrest and jailing do not lead to this for White people. The same behaviours that lead to children removed from Aboriginal families do not lead to this for children of White families. However, despite the tragic disproportionate over-presentation rate of Indigenous child removals, the high rate of child removals hits White and Brown children too, not just Black. Australia has to be brought to account for its high rate of child removals — of tearing families apart instead of the much-begged-for focus on working alongside families. Personnel defend their good intentions, but the majority of child protection workers are from the sea of privilege. The future will condemn the present generations as the present condemns the past. But we should not wait for a mere condemnation from the future. In my view, the best way to radically reduce the damage being done by child protection authorities is to reduce their funding, as I explained in October 2016, in ‘Radically reduce child protection budgets so only genuinely at-risk children will be focused on’. The “child protection” monoliths right across the nation are vastly overfunded. It is not true they are underfunded and overstretched. Child protection budgets should be radically reduced to one-sixth in order to end the humanitarian crises they are generating. The child protection and “family services” monoliths are responsible for the record levels of child removals, and directly responsible for the wilderness of grief, the multitudes of broken and ruined lives. In 2014-15, 151,980 children – a rate of 28.6 per 1,000 children – received child protection services. Child protection authorities and family services across the nation are increasing the numbers of their personnel each year and in turn, churning out more “services”. These workers may score the quid, but families are the victims. Child protection authorities need families to investigate, monitor and, in my view, harass. These child protection monoliths have conjured up similarly monolithic investigation units and never-ending “care protection services”. A significant layer of these services is Kafkaesque. It is the poor who seem to be a target, albeit maybe inadvertently. The 2015-16 Department of Child Protection budget for Western Australia was $644 million. Each year, there is a “cry poor” by child protection authorities, who need more funds to monitor “vulnerable” families. Each year, in every jurisdiction in the nation, the child protection budgets increase and, subsequently, the number of children removed increases. In NSW, the child protection budget is $1.7 billion. These monies could be better spent in providing various assistance to struggling families instead of ripping apart families — instead of child protection authorities and “family services’” deploying minimalist and reductionist policies that lead to children being removed. When children are removed from their families because of alleged emotional abuse or various other reasons, they are seldom provided with adequate healing or restorative therapies. The removal of a child from his or her family is a significant psychosocial hit. It goes straight to the validity of the psychosocial identity – it hurts – and, for many, this pain is unbearable. For many, the trauma of removal is unresolvable, inescapable and relentless. For some, this trauma is also compounded with multiple, composite traumas, which may degenerate into disordered thinking and aggressive complex behaviours. For the most part, child protection and family services should reconsider how they allocate their budgets and, instead, focus on assisting vulnerable families, as opposed to the reductionist and minimalist approach of removing children. But the majority of child protection and family service workers are not skilled in any number of ways that should be requisite, and are ill-qualified and inexperienced. In my interfaces on behalf of families with child protection workers, I have been appalled by the low level of skills and understanding of the workers. Governments have created a nightmare with these insatiable monolithic child protection authorities, with the consequence that families are degenerated by these workers to broken and, for many, ruined lives. Individuals removed as children from their biological families are the most elevated risk group to aberrant behaviour and suicidal ideation. Last year, one in 35 Australian children “received” child protection services. This statistic beggars belief. An outrageous “dob-in” system has been set up which knocks-up work for thousands of child protection workers across the nation. Last year, nearly 400,000 calls were taken by child protection authorities, where complaints about other people’s families were lodged. The majority of the grounds for monitoring and child removals relate to “emotional” abuse of the children. The majority of families investigated by child protection authorities can navigate acute socioeconomic pressures, and even various asserted negative behaviours within their homes, including exposure to alcohol abuse, substance abuse and various psychological and psychiatric illnesses. The involvement and over-involvement of under-skilled but overly judgmental child protection workers, in general, does not only fail to assist, but compounds vulnerabilities and is trauma-inducing — there is generated constancy of trauma. People make mistakes, they can wound each other but empathy and forgiveness are likely if families, for the most part, are left to themselves to work through their lot. Child protection workers majorly invalidate people, diminish them and most certainly traumatise every family member. It is a grim reality that more than ten per cent of the Australian population lives below the Henderson Poverty Line, and for Aboriginal and Torres Strait Islanders, it’s around 40 per cent. Poverty should never be an excuse for the removal of children. It is grim reality that, thereabouts, ten per cent of children live in families where there is substance misuse, but for the majority of these families, there is still no genuine reason to remove the children. We are accumulating more stressors on individuals and families — dumping upon them sanctimonious and unreasonable expectations. More than 46,000 children live in “out-of-home-care” — in other words, they have been removed from their biological families. A small percentage, yes, needed to be removed, but not nearly 50,000 children. Each year, the rate of children removed increases, but that is because the child protection budgets increase. Nearly 60,000 children are under care or protection orders. Reduce the child protection budgets and the child removals reduce. This is the solution to the child removal catastrophe. Nearly half the children removed were under five years of age, when their form and content is in most need of their biological parents. The child protection monolith is washing into society stereotypes of the majority of parents of children removed as “drugged up”, as “drunk”, as “violent” and as “incompetent”. The majority of the parents are none of these. Some children will need foster care but the majority of children should remain with their parents. The reductionist aspiration that relative or kinship care is the way to go for children removed is not a solution. Relative/kinship care is the best option for some children for a period of time or permanently but, for the majority of children, it is a damaging experience because they should never have been removed from their nuclear families. The majority of children in out-of-home-care are in relative or kinship or foster care but the fact remains they are not with Mum and Dad, nor with their sisters and brothers. The removal of a child from his or her family is dangerous. It can invalidate the individual and not just disrupt them. The gaols are filling with individuals who as children were removed from their parents. They are the most elevated risk group for suicide. Unless we radically change policies to authentically work with families, instead of tearing them to pieces, the number of children removed and the suicides of these children as adults will increase. For now, the only way forward is to reduce the child protection budgets and so limit the scope of child protection workers to those genuinely “at-risk”. Your article raises interesting and important points about the crisis child protection is facing, with the increasing number of children in care, and the relationship with budgeting. However, I would caution against conflating budgeting with resources (i.e. workers). Child protection budgets have continually risen, primarily due to the increasing levels of children in care. Staff levels may rise in terms of figures (I would be interested to see where your data is from on that note), but that belies the reality that many positions are fixed-term only, frequently (and deliberately) unfilled, and suffer from repeated absences as the stress of the position causes staff to take extended personal leave. We might have more workers in terms of figures, but I think many of my colleagues would be bemused at the suggestion that increasing budgets has led to over-staffing. Child protection workers would love nothing more than to be able to utilise their skills and abilities in supporting families, working with communities to help establish safe networks for children. Given the considerable impact taking a child in care has on workload, I doubt any worker would argue otherwise. It’s important to remember that most child protection systems in Australia do not allow for social work principles to be properly applied. Most state governance is run according to neo-liberal principles, creating the ‘monoliths’ you describe but very much working to consumerist, private-sector influenced approach. We are awash with adherence to key performance indicators, ‘silo’ working as individual departments are broken up into distinct boundaries, forced into competition with one another that increase enmity and break down collegial working. We are riven with a lack of integrated processes and functions, tied down by ponderous and burdensome levels of bureaucracy. When I worked in Western Australia, I undertook work with the union around caseloads and complexity of workload. We found that the case management system was wholly inadequate, since it made no distinction of complexity of families, and that it was literally impossible for any worker to complete the paperwork expected, in addition to all the other demands on their time. Child protection workers did not create that environment, we are subject to it. Many of us approach the role from the ‘sea of privilege’ you describe, but I’d caution against assuming that we are not self-aware of that fact. Bear in mind that social workers, for example, have to spend years acquiring a professional qualification, including practice based work, and at the same time accumulate an extraordinary level of debt in the process. We work in an environment charcterised by poor conditions, bullying and paternalistic management processes, poor physical environments, burdensome bureaucracy and lack of adequate staffing. It would be ridiculous to equate this with the pressures on Aboriginal families, or the context of history of colonization under which you have suffered, but at the same time please do not descend into the narrative painted by those promoting increased private sector approaches. Those narratives undermine our professional status, our experience and knowledge, and even our sense of worth. We don’t make legislation, and we don’t set policy, but we are left with the responsibility of enacting it. Your suggestion that reducing budgets will mean ‘only genuinely at-risk children will be focused on’ is not realistic to my mind, given how state governance is managed. Unless there is a fundamental change in economic thinking at the public sector level, a reduction in budget will lead to less ‘genuinely at-risk’ children being focused on. Governments traditionally reduce budgets by either cutting wages, or cutting staff numbers. Child protection worker numbers may have remained static or even risen, but I can certainly say that admin positions and support worker positions have decreased sharply. However, the work doesn’t go away, so the child protection workers have to carry that work as well as their other duties. Reducing budgets without changing the working nature of governance will increase our intervention at a crisis level only, reduce our flexibility and resourcing to seek family, community and kinship options, and lead to more children coming into care. I totally agree that a community based approach is the best way forward to deliver the types of services and supports families need. Bringing children into care has a devastating impact on families, community and, whether you realise it or not, child protection workers. We are aware of the limitations of the work that we do, and that ‘doing a good job’ cannot stop and start at adherence to policy and procedure. We are more than aware of the limitations imposed on our options by lack of appropriate resourcing, and the impact this has on children-in-care numbers. We are over-stretched, and severely hampered in the options we can pursue. Contrary to your perspective, the vast majority of child protection workers are highly skilled, dedicated, and professionally qualified, and we do not enter into involvement with families with anything other than an aim to keep children safe. Your implication that we deliberately set out to bring children into care and ‘harass’ families is in error. Steps need to be taken to reverse the catastrophe you rightly describe of children being brought into care. This includes replacing the risk-based command and control style of management, introducing more communal and collegial methods of working, and restructuring child protection into service led approaches. Communities should be supported to develop their own parenting and family support, to help minimise the ‘all or nothing’ response of child protection, building safety for children, and supporting parents and families facing crisis or challenges. Examine some of the cooperative models of the Cleveland or Preston model; these offer tangible responses that remove the complexity and authoritarianism of the neo-liberal systems. I don’t know of many scenarios where launching personalised attacks against people has led to a positive result, so I am not sure what response you expect from child protection workers by criticizing their lack of skills or ability, and attacking their intent. I remind you again, we do not set policy. We are keenly aware of the limitations of resourcing and the ridiculous and, frankly, inhumane management approach to child protection imposed by government. Nobody of any sense would want to work under the conditions that we do, or expect there to be long term positive results. The opportunity arises for us to unite around this issue, and promote an approach that engenders collegial and community led solutions, allows for improved networking and communication between child protection and communities, and delivers a lasting change to the neo-liberal economic architecture that is devastating families all across the country.